" I switched to this machine from an older Resmed machine. So much quieter and now I get a full night again. I love it "
" Although I have only used the machine for a few days, it is far superior to my last machine. It is sophisticated yet easy to use. " DeVilbiss' IntelliPAP 2 AutoAdjust Auto CPAP Machine features comfort technology and OPTIONAL humidification while auto-adjusting pressure to meet various breathing events. The machine and OPTIONAL IntelliPAP 2 Standard Heated Humidifier offer a smaller footprint when stacked together. 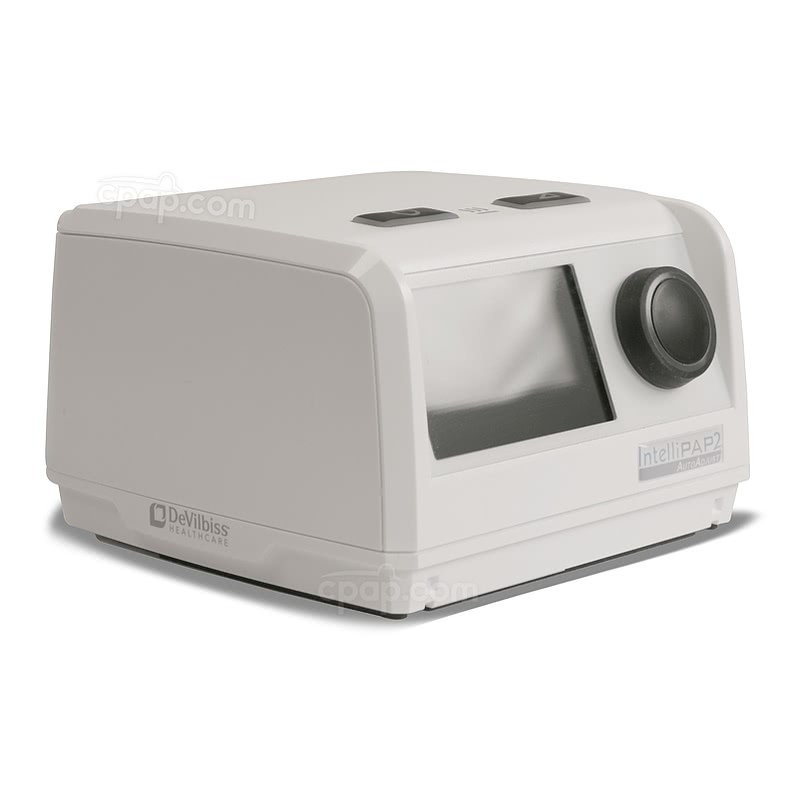 1% of AutoCPAP Machine product buyers choose this product. 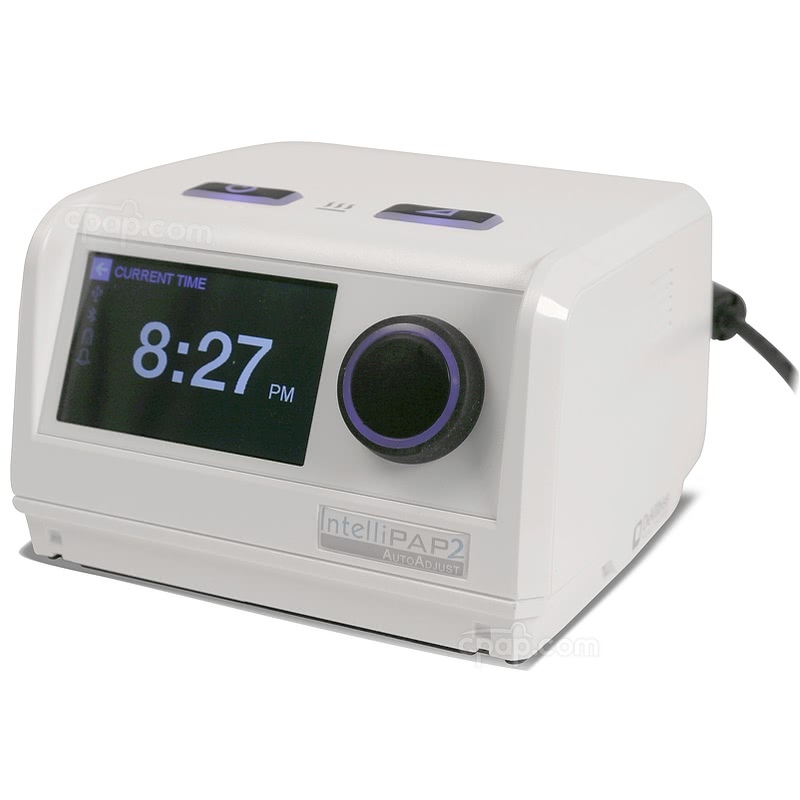 The IntelliPAP 2 AutoAdjust Auto CPAP Machine from DeVilbiss is a travel-sized CPAP machine designed to automatically adjust pressure during the night. The machine uses multiple techniques to track therapy effectiveness including a SD card (included), bluetooth technology, and SmartCode. The "PureView" AutoAdjust Algorithm is a unique feature used on the AutoAdjust CPAP machine to detect advanced apnea events such as: periodic breathing and flow limitation. This algorithm uses a logic that understands complex issues, leading to automatic changes in pressure in response to OSA and CSA events. This is an auto-adjusting machine that will operate between a low and high pressure range, remaining at the lower pressure until an event is detected requiring a higher pressure. The sharp LCD screen increases the visibility of displayed information and pairs with a knob that is turned and pressed for easy navigation of menus and settings. The display can also show regular reminders to change filters and clean equipment, if desired. When in standby, the machine will display a clock and also has an alarm clock function. SmartCode messages begin to display on the screen after the first night of therapy. Each code is a uniquely encrypted code holding personal sleep data results. SmartCode is intended to help IntelliPAP 2 users become compliant. Review the SmartCode Adherence Score with a physician. Standard Heated Humidifier: The standard humidifier can be set to a level ranging from 0-5 and will heat to provide that level of moisture all night long during inhalation and exhalation. Level 0 provides no heat, while level 5 provides the most heat. 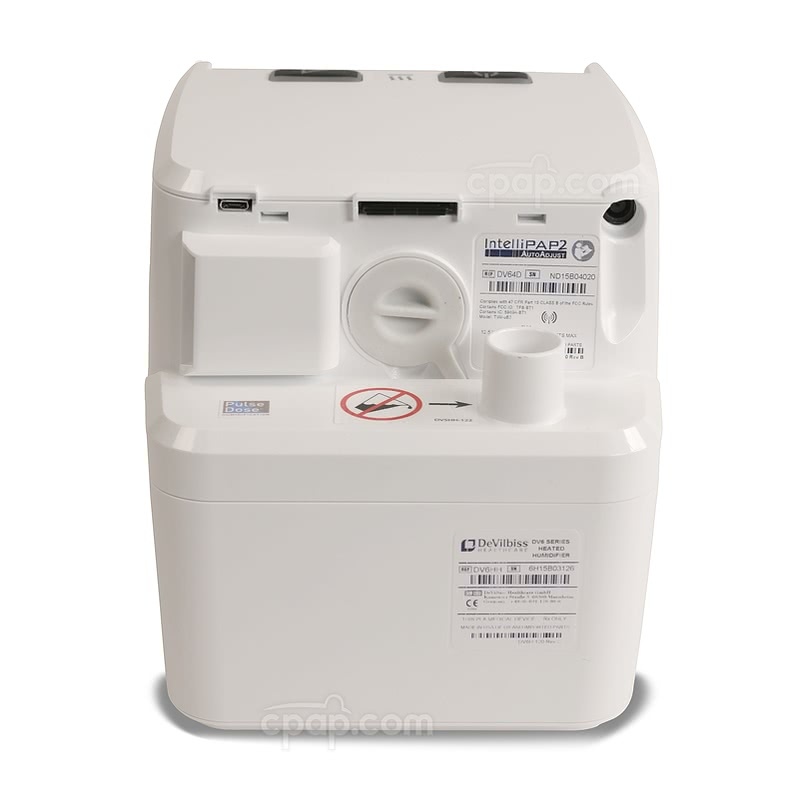 Pulse Dose Humidifier: The Pulse Dose feature provides moisture during inhalation only. During exhalation, the humidifier is bypassed, helping to clear moisture out of the hose, retain water in the chamber for a longer period of time, and reduce power draw from the machine and humidifier. 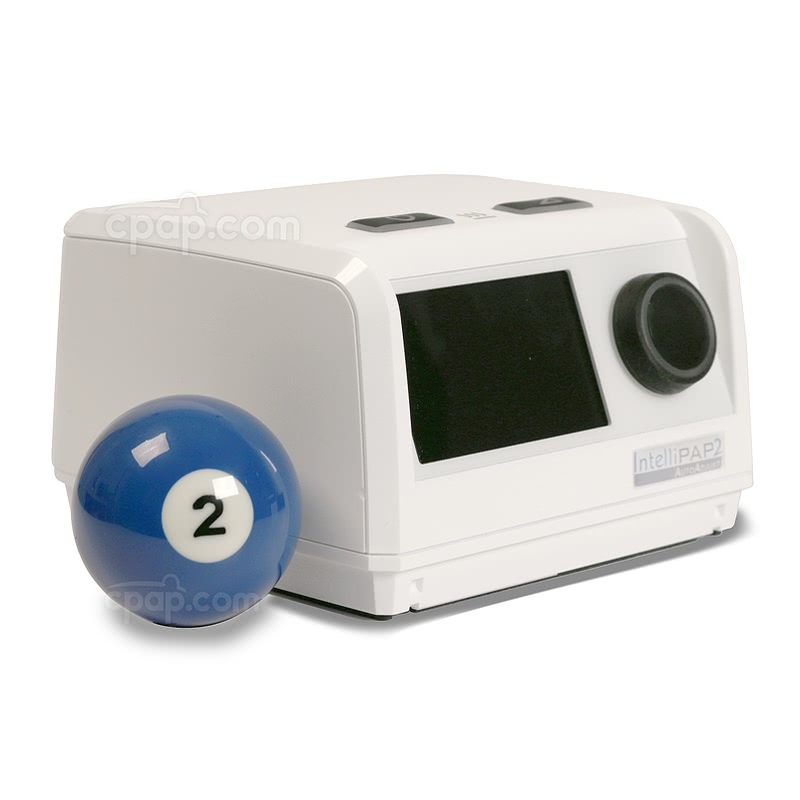 The humidifier can be set from 0-5 with 0 being no heat and 5 being the highest heat setting. Enable the Bluetooth feature to begin pairing the IntelliPAP 2 to the SmartLink app designed by DeVilbiss. The SmartLink Data Management System is designed for use on Apple and Android devices. To begin using the app, visit the iTunes App Store or the Google Play Store depending on the device. Search "DeVilbiss SmartLink" to locate the SmartLink app. Once the app has been downloaded and the Bluetooth option is turned ON, data will begin streaming from the machine to the handheld device. SmartFlex is designed to decrease pressure during exhalation 1, 2, or 3 cm for a more comfortable breathing pattern during therapy. Adjustable rounding allows the user to customize the transition between exhalation to inhalation and inhalation to exhalation. The machine settings range from 0 to 5. Level 0 represents a direct jump in pressure, while level 5 represents the softest transition. The IntelliPAP 2 AutoAdjust offers Ramp as a comfort feature. Ramp is designed to gradually increase therapy to the lower pressure of the auto range over a period of time. 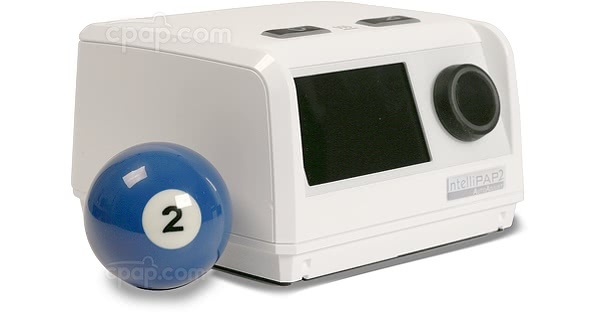 Between 0 to 45 minutes, the machine will slowly raise the pressure to help the user become acclimated to their therapy so they may fall to sleep with ease. The ramp button is on top of the machine and to the right of the humidifier symbol. Use the button to start or stop ramp. Please Note: If the machine’s lower pressure of the auto range is 3, ramp will not be available. The Auto Start / Auto Stop feature allows the user to begin and finish CPAP therapy without manually pressing a button. When enabled, place the mask against the face and begin breathing into the mask to start sleep therapy. Likewise, remove the mask when waking to stop sleep therapy. If the Auto Start / Auto Stop feature is not desired, the machine is equipped with button to manually control the device. The user manual included with this machine can be viewed and downloaded here: IntelliPAP 2 Auto Machine. When placing the machine on top of the humidifier cradle, ensure the display is facing the same direction as the pale blue tab on the water chamber. Then, when removing the machine from the cradle, lightly push inward on the rectangular button near the rear corner of the cradle. When properly positioned, the units are easily attached and dismantled. Please Note: Some of the parts used on the original IntelliPAP are also compatible with IntelliPAP 2 machines. Other parts are strictly designed for the IntelliPAP 2. 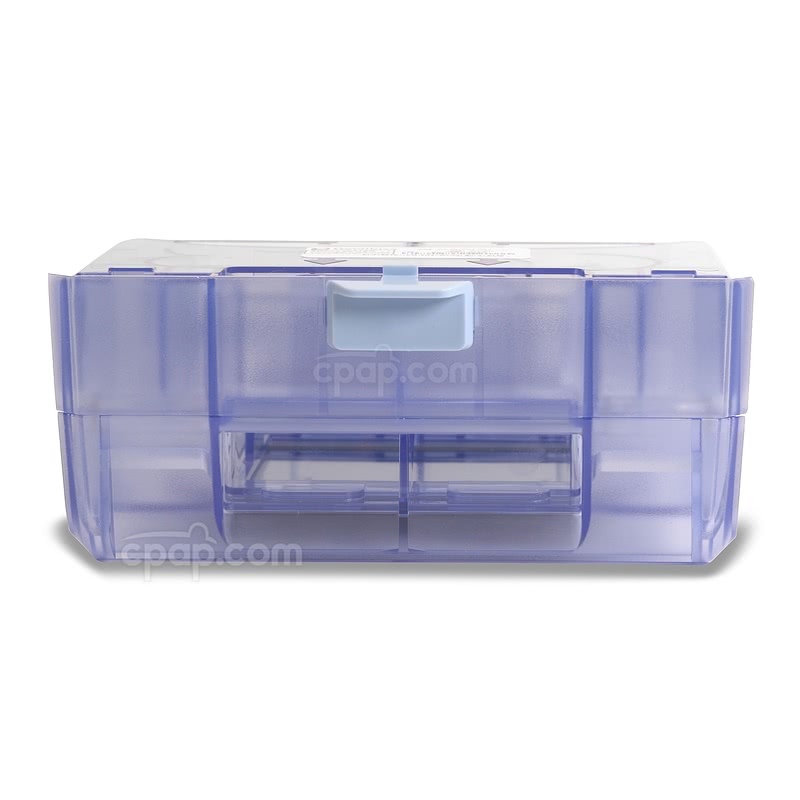 These disposable filters and reusable filters are compatible with both the IntelliPAP and the IntelliPAP 2. 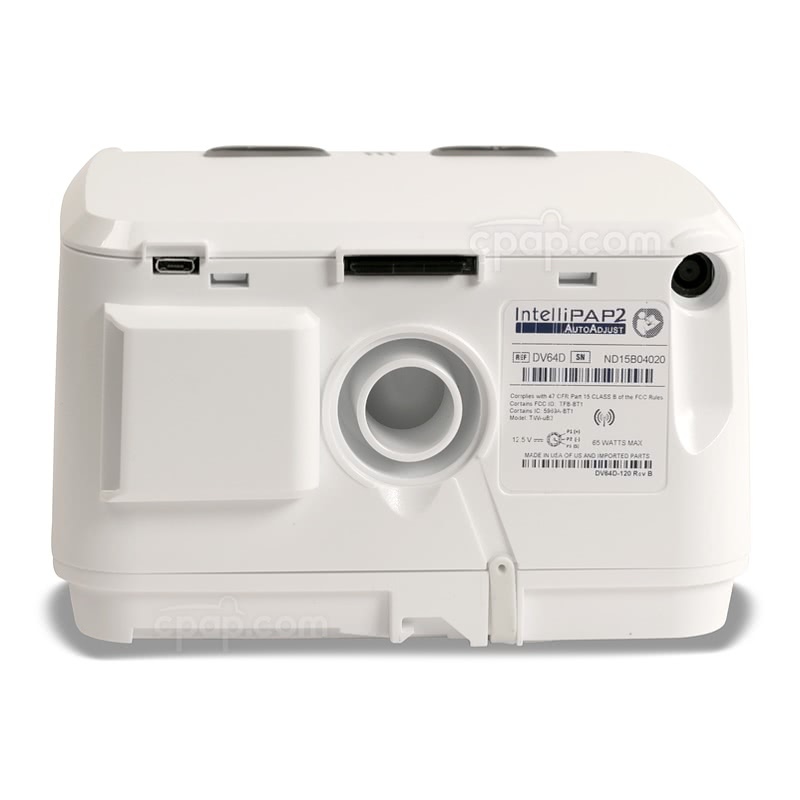 However, the IntelliPAP 2 has a filter cover which was not used on the original machine. The IntelliPAP 2 comes with a 6 Foot Long 15mm slim hose. If the user prefers to use a longer hose or a hose with a 22mm diameter, the settings may be changed on the machine to accommodate the hose, with the exception of a heated hose. The IntelliPAP 2 has a power supply attached to the power cord. This design is different from the original power cord used with the IntelliPAP machines. 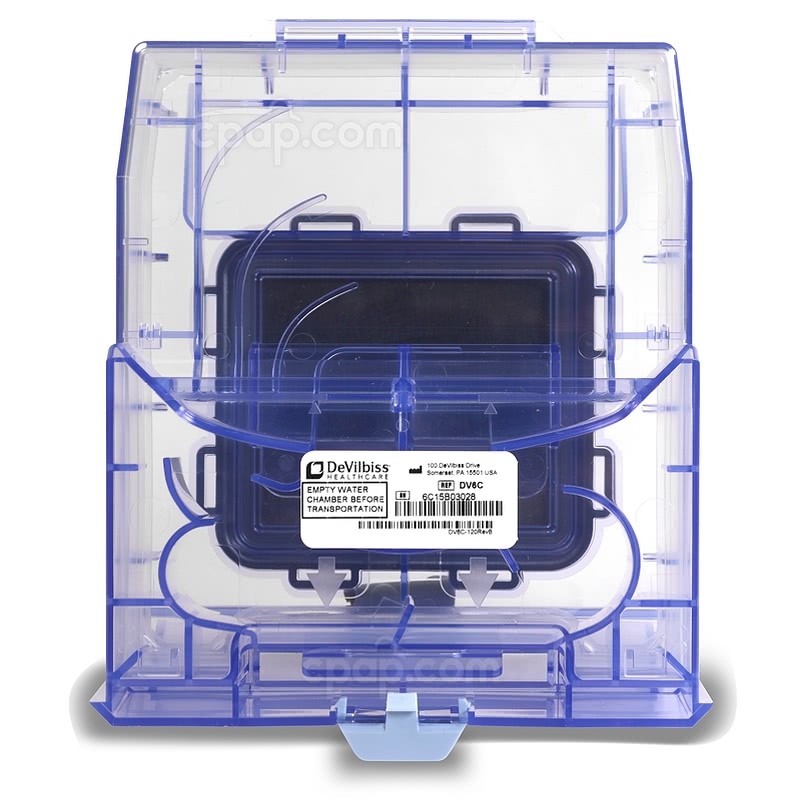 When the IntelliPAP 2 machine and humidifier are connected, the air supply port cover folds into the circular crevice located on the back of the IntelliPAP 2 machine. 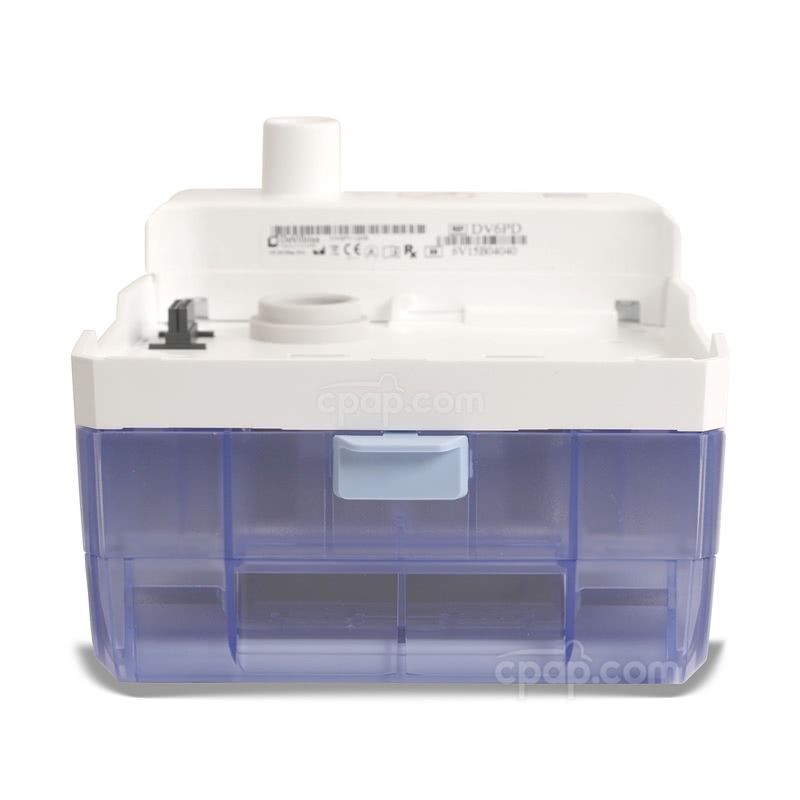 If using the IntelliPAP 2 machine without the humidifier, reposition the air supply port cover so it coats the circular opening found on the bottom of the IntelliPAP 2 machine. Please Note: The cover must be put back into the opening found on the back of the machine when preparing to reconnect the machine and humidifier. If the cover is still protecting the hole on the bottom of the machine, the devices will not fasten. 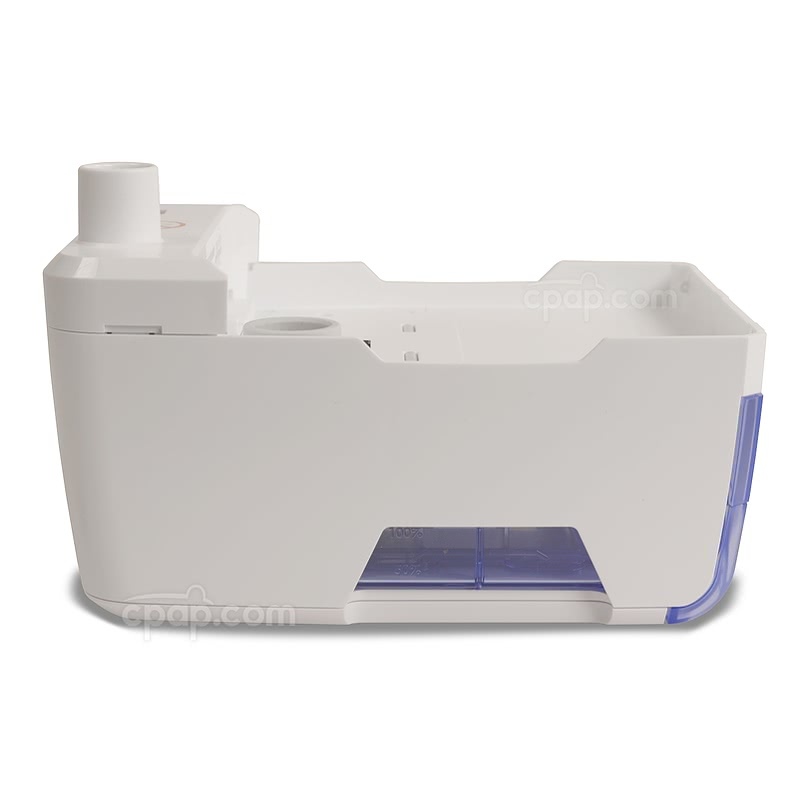 The water chamber for the IntelliPAP 2 Heated Humidifier needs to be cleaned daily. Please Note: The water chamber may be placed in the dishwasher for an occasional cleaning. When placed in the dishwasher, the chamber must sit on the top rack. For all other daily needs, hand wash the chamber with warm water and mild soap. Gently press on the chamber release latch which is located at the front of the chamber. Slide the chamber out of the cradle. Locate and push forward on the chamber disassembly lever which is directly behind the chamber release latch. The chamber will open into two halves. Remove the power source to allow the heater plate to cool. The cooling process may take up to 10 minutes. Once cooled, withdraw the water chamber from the inside of the cradle. Use the flow generator release button to separate the IntelliPAP 2 machine from the cradle base. Use a moist towel to cleanse the cradle. When refilling the water chamber, use distilled water to help prevent mineral build-up. 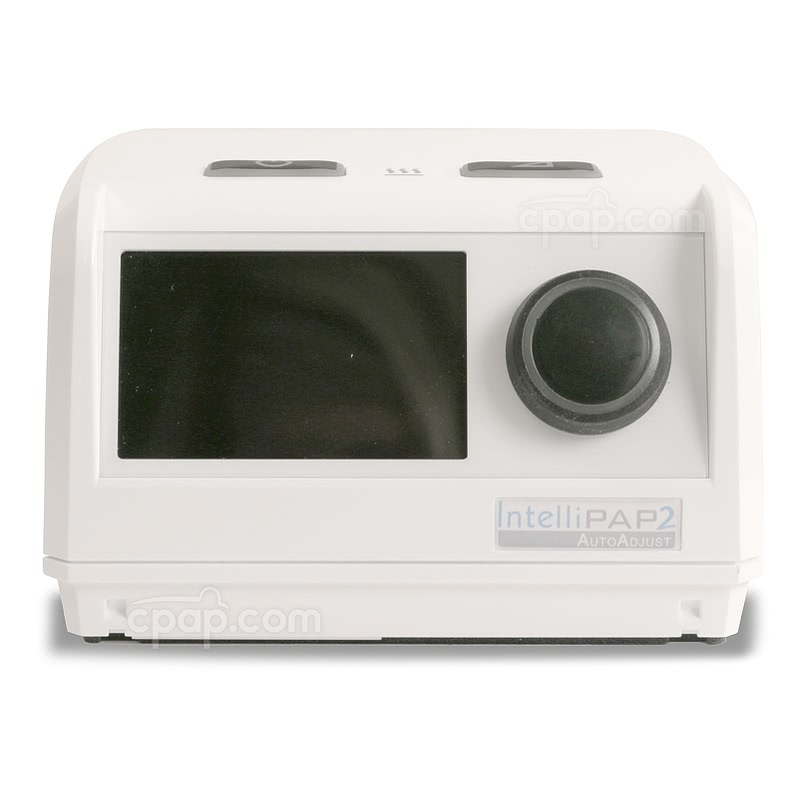 The IntelliPAP 2 water chamber has water level indicators located on the sides and top of the chamber. Do not surpass the specified markings when refilling the chamber, as it may cause water damage. Before each use, examine the sealing gasket surrounding the circumference of the chamber. Ensure the gasket has been put back into place after each cleaning. 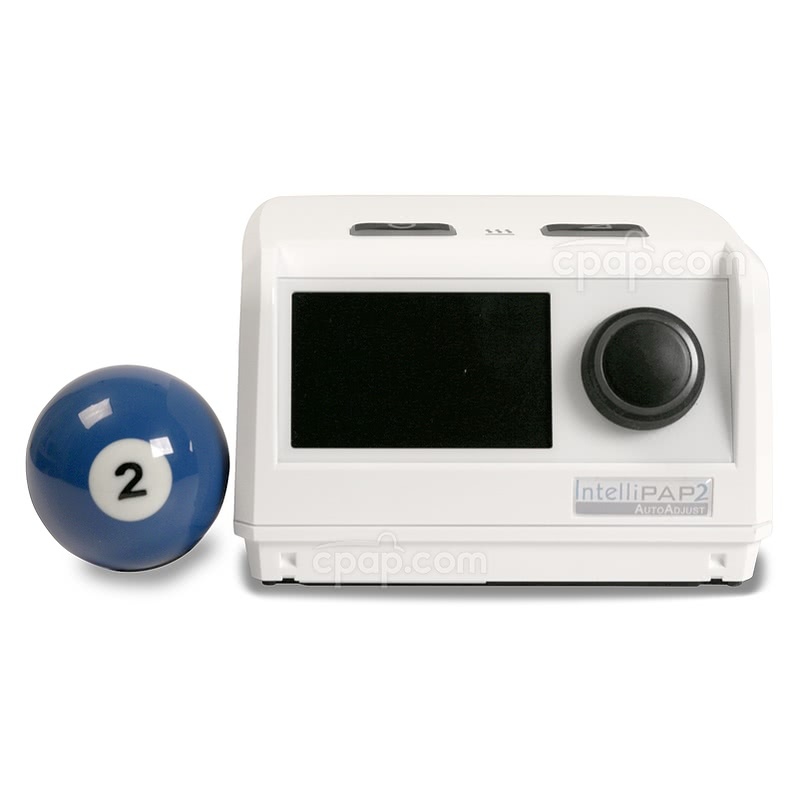 This video provides a demonstration and an introduction to the IntelliPAP 2 machine, going over basic features, as well as providing information on how to navigate through the menus and screens. Log Into the App Using Your Device Serial Number and Your Last Name. Don't forget to Capitalize! On Your Android Device, Tap the Continue Button. This will copy the PIN to your Clipboard. Locate a Device Begining with the Letters DV6, and Select it. This Will Bring Up a Place to Enter Your PIN. Check the Box Below that Says "PIN Contains Letters or Symbols"
The DeVilbiss IntelliPAP 2 system operates automatically between 110v and 240v AC. When traveling either inside or outside the USA, there are no switches to switch or fuses to change. The machine will automatically sense what voltage is needed and set itself to run on that power. 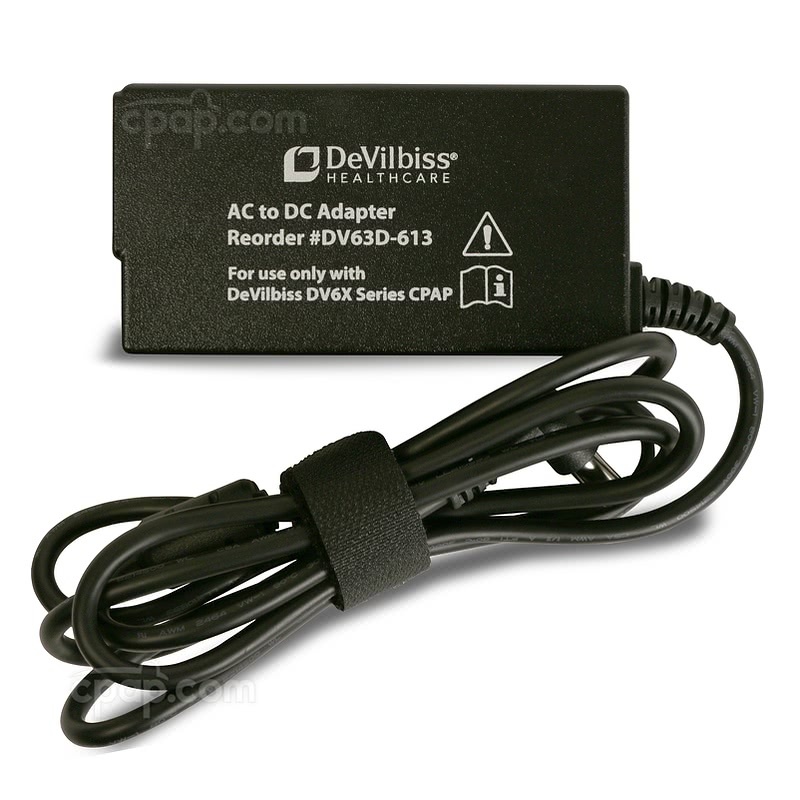 The DC Power Cord for IntelliPAP 2 CPAP Machines plugs into the back of the IntelliPAP 2 units, allowing the user to connect the CPAP to an external DC battery source. The IntelliPAP can be powered by plugging the 12V DC Power Cord into a cigarette lighter plug. 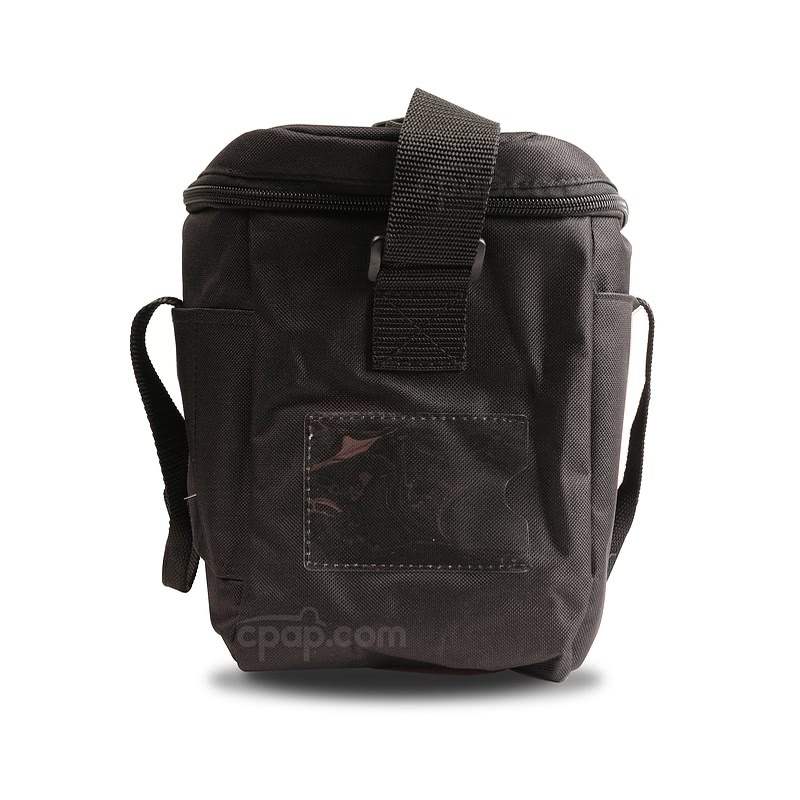 This is ideal for traveling by car, boat, or recreational vehicle that is equipped with a cigarette lighter plug. Important Note: If using the OPTIONAL heated humidifier, the IntelliPAP 2 machines cannot be operated from DC power. A modified sine wave inverter of at least 120V AC is necessary to power both the machine and humidifier from a DC power source. Because the IntelliPAP 2 machines use a separate connection for AC and DC power, they can be set up in a battery backup configuration. 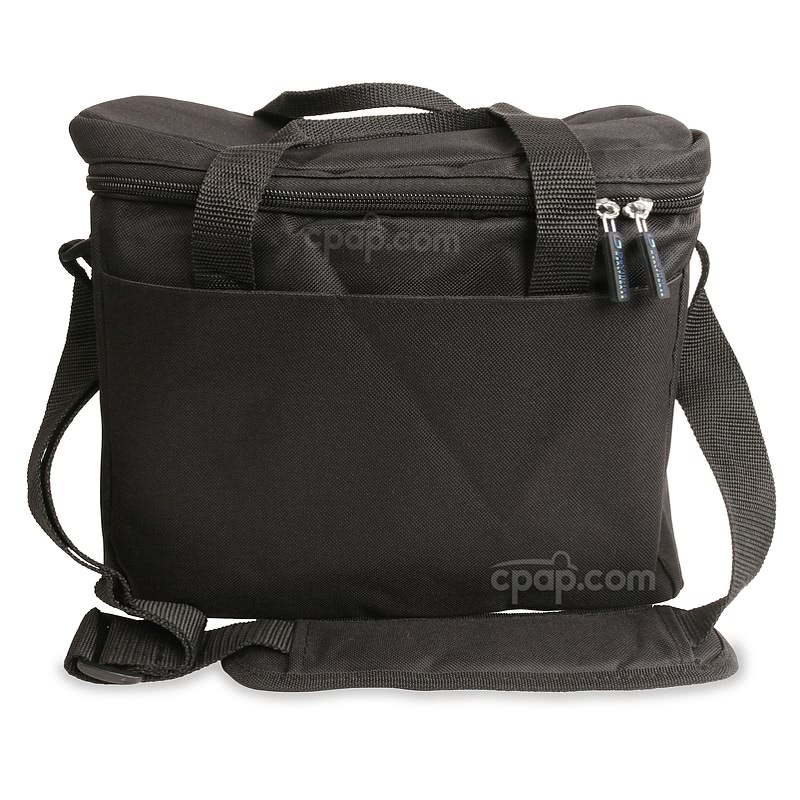 The AC power cord is plugged AC power source such as a wall outlet, and the OPTIONAL DC Power Cord for IntelliPAP 2 CPAP Machines is plugged into a DC power source such as a battery. The IntelliPAP will use the AC power source when available, otherwise will convert to the DC power source, without any interruption in therapy. If the AC power source becomes available again, the machine will revert back. Please note that if using the heated humidifier, it will not function from DC power. Weighing in at only 1.7 pounds the Freedom Battery is a terrific option for travel. Pair the DC input cord included with the battery and the DC Power Cord for IntelliPAP 2 CPAP Machines to connect to the Freedom battery. This lithium ion battery meets UN Manual Test and Criteria requirements for travel. PLEASE NOTE: It is also possible to connect the IntelliPAP 2 to the Freedom Battery using the 150 Watt Sine Wave Inverter (sold separately).